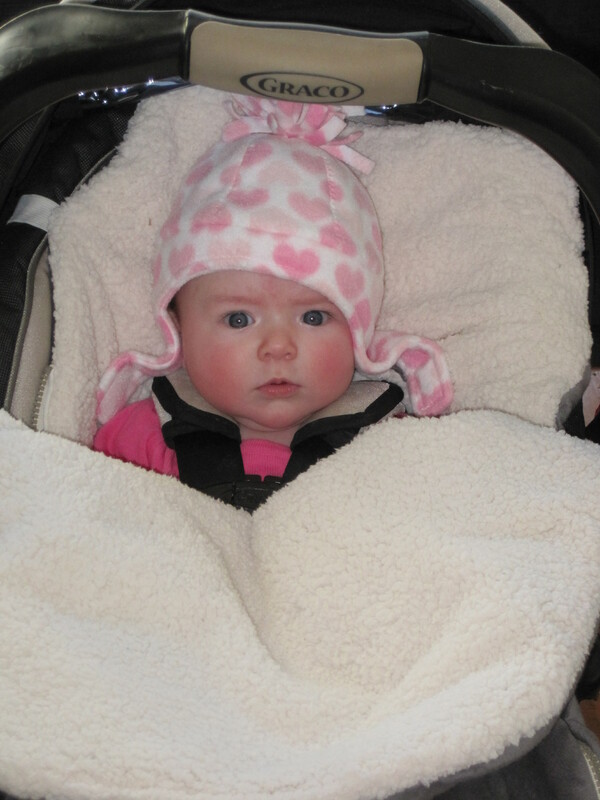 M is the proud new owner of a built in carseat blanket thing and a hat with ear flaps. Who would have thought I’d have a baby who needed these things!? Oh, and her eyes are still blue. Who would have thought I’d have a blue eyed baby? !